Need Laptop Screen replacement in the Camden areas? 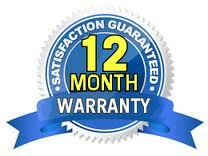 Laptop Screen Repair Camden offers same day onsite Service throughout Camden areas. Do you need to have your laptop screen fixed asap? Not a problem. Laptop Screen Repair Camden's qualified technicians will go onsite to your office, home or school replace your laptop screen from 8am to 8pm 7 days a week anywhere in Camden areas. Same day service Guaranteed . If you are happy with the quote, we will arrange an appointment with you in your prefereed time and location. Call us at 1300 829 893 or email us at info@laptopscreenreplace.com.au if you have any questions, or wish to arrange an appointment to have your laptop screen replaced.